The Desperate Housewives alum, who’s now in her third trimester, told Access Hollywood this tidbit earlier. The Scandal star also hooked Eva up with a bunch of maternity clothes! 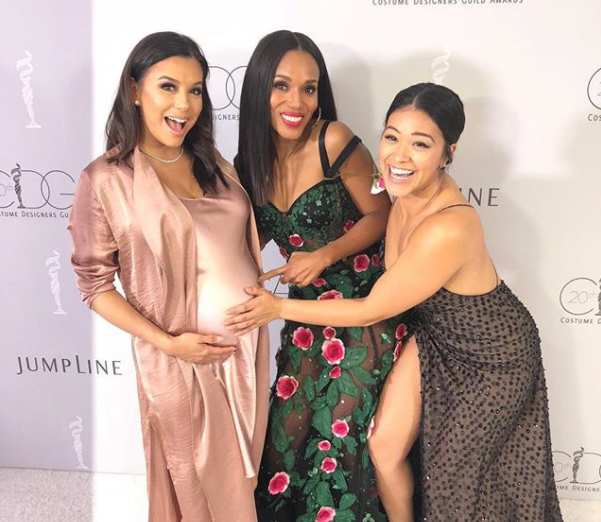 Washington shared a photo at the Costume Designers Guild Awards of Longoria with herself, Longoria and actress Gina Rodriguez. “Sisters from other misters. That baby’s gonna have a lotta aunties! Sweet! Longoria and her husband Jose Baston are expecting their very first child together later this year.